Phpmyadmin is a free tool used to administrative MySQL database in a GUI mode ( Using web browser ) . You can perform almost all the major tasks like creating , deleting and modifying databases, tables, rows etc. you can also optimize and repair tables just with a single click . Inorder to install phpmyadmin on ubuntu 12.04, you need 3 main packages apache , MySQL and php has to be installed and configured properly. You can refer the below posts to install, configure and test the apache, mysql and php together. 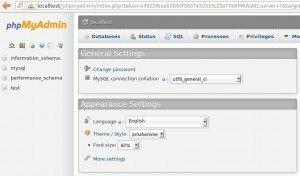 Step 2 » Type the below command to install phpmyadmin . 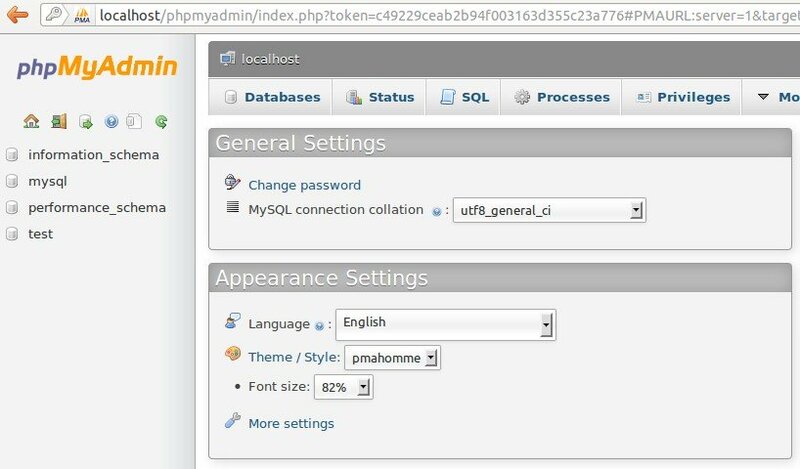 Step 3 » You will prompted to choose the type of web server for phpmyadmin . just choose “apache2” (use space bar and enter key for selecting ) . Step 4 » Now the installation will prompt for the mysql database configuration ,As we already configured mysql server manually just choose “No” and hit enter to complete the installation. Step 5 » That’s it , now open the path “http://localhost/phpmyadmin” in the browser , you will prompted for username and password . just type Mysql root username and password given during the Mysql installation . Now after successfull login , you can see the screen like below . Alas, any tutorial I come across seems to never get phpmyadmin working properly. I always get Not Found. Any ideas why this is? Nevermind. It seems like you may have missed a step though. You need to add this statement to the end of the apache2 conf file. Thanks man. I would have spent a lot of time trying to figure that out.